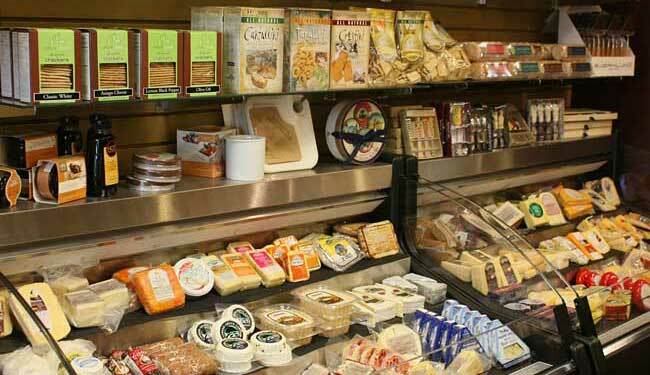 Fine wine demands fine cheeses and gourmet foods. We offer an extensive line of gourmet foods along with recipe ideas to truly bring them to life. And we combine wine and food into wonderful Gift Baskets, the ideal way to say "Thank You!" to clients or to remember the special days of family and friends. You won’t find any books of poetry on our shelves, but between our stock of wines and our freshly-baked bread we can get you at least halfway to Omar’s Paradise! And there are plenty of other delectable items in our food department besides bread, including cheeses, chocolates, cured meats, patés, salsas, soups, sauces and so on. Looking for food or wine accessories? Come see us for corkscrews, cheese knives, serving trays, picnic packs, wine racks, Riedel stemware and an array of entertaining and gift items. 175 pages of recipes compiled from our newsletter, plus wine tips and anecdotes.